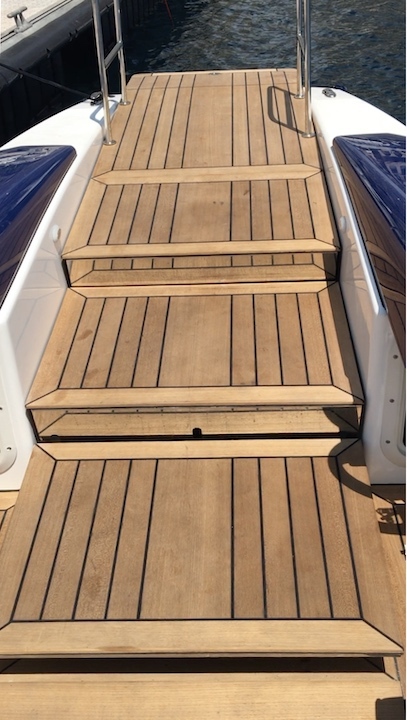 We were asked by Wahoo Ribs based in Gosport to design and create a platform lift on a speedboat for one of their clients this was so that the client or other wheelchair users could easily embark his boat from the marina and then get from his speedboat onto his yacht. The speedboat was especially designed to fit around the lift as it was originally converted from an amphibious vehicle. 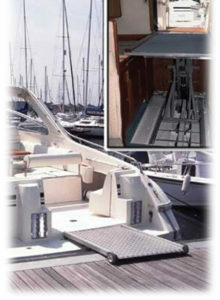 The main challenges facing us on this project were that all the materials would have to be resistant to the marine environment, getting a suitable power supply to operate the lift, how could the lift be used safely on the water and making the boat “invisible” so guests wouldn’t be able to see it before and after use. 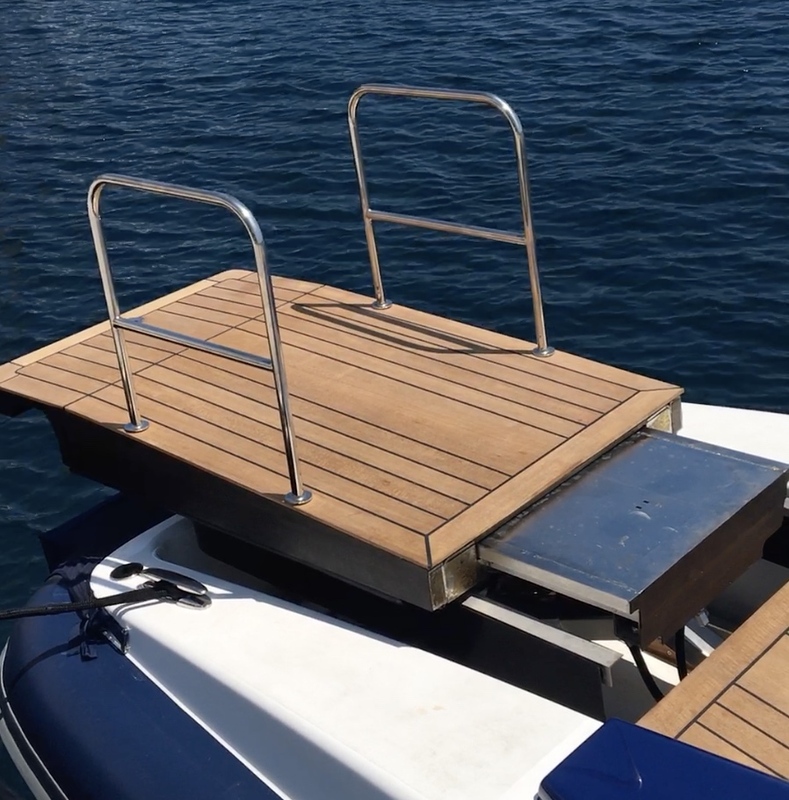 To combat the salt water and its life at sea, the lift was made out of 316 marine grade stainless steel, unlike conventional stainless steel which can rust when it comes into contact with salt water, 316 stainless steel doesn’t corrode so can handle the sea environment. 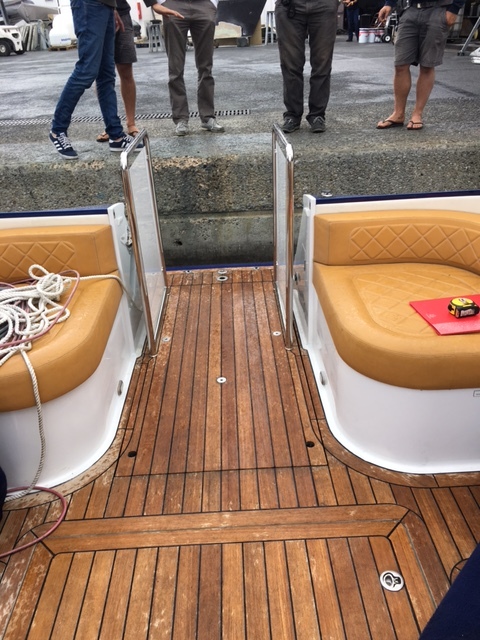 In order to operate the lift we were able to match the boat’s current power supply of 24V DC so that no external batteries would have to be used and charged. This saves on overall weight of the lift and of course makes the system less bulky and easier to disguise within the boat itself. 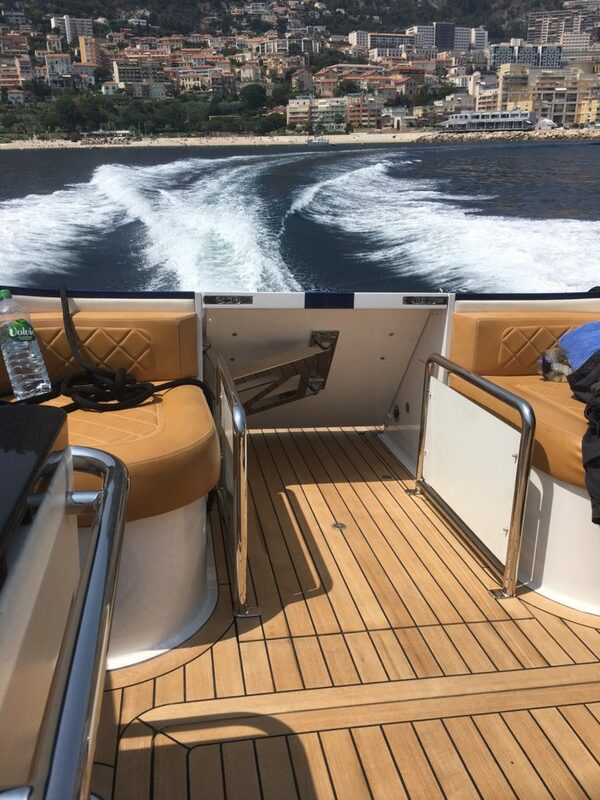 As you can imagine, to use a lift whilst at sea can be difficult with the constant swell changing the position of the boat and the lift compared with the marina or quayside. We installed retractable 316 marine grade stainless steel handrails that are clicked into place when the lift is operated. This allows crew, user and guests to safely embark and disembark the boat, without these there is a risk of falling into the marina. In addition all the lift controls were operated by radio transmission, this allowed the crew and client to use the lift remotely, as well as being able to float in the sea so they wouldn’t get lost if they were dropped in the sea. 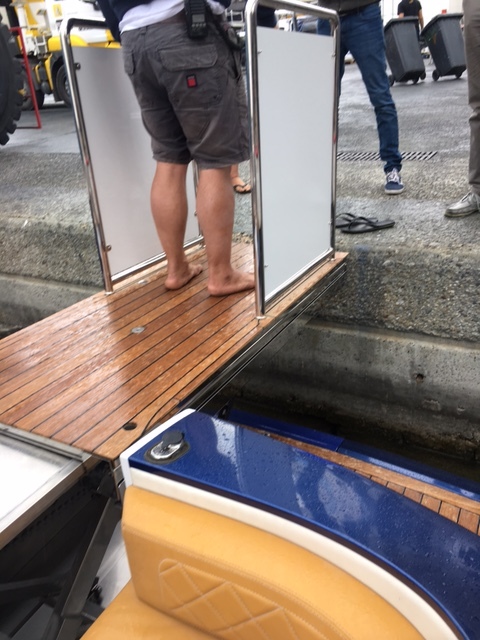 To tackle the issue of blending the lift into the boat, we decided the lift should be designed to sit under the decking when not in use. 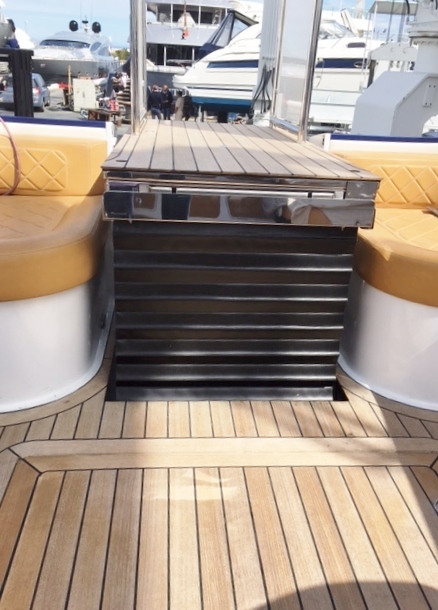 The completed system collapses into the surrounding decking and is finished with the same teak used on the rest of the boat and so it is completely disguised. If you were a guest on the boat you wouldn’t even know the lift was there! Working in partnership with the boat builders we completed the installation in 10 days. 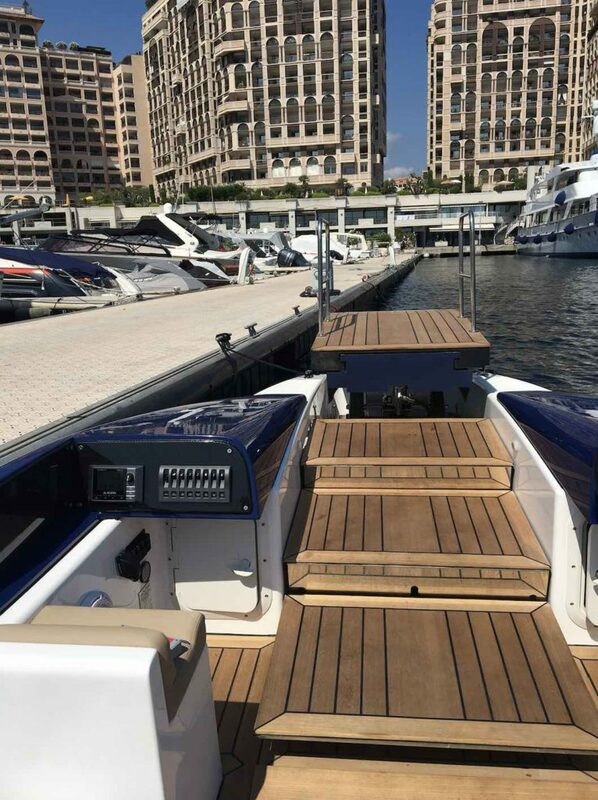 The lift has made it easier for the crew, client and guests to moor straight onto the marina and quayside rather than tackling the tricky pontoons. Upon recommendation, Berthon Boat Company in Lymington called us with a very specialist problem. Their client, who was an enthusiastic sailing boat owner, sadly had an accident and had been left paralyzed. 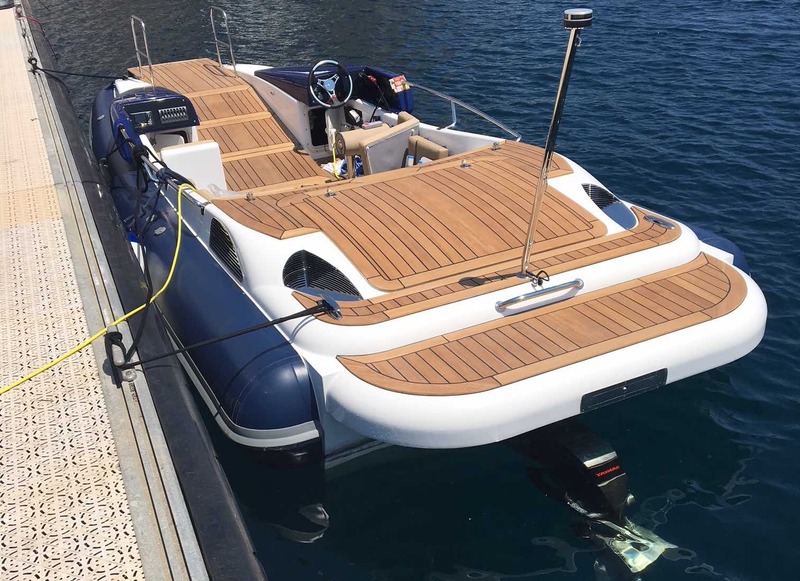 To allow him to enjoy his boat to its full extent they needed to install a specialist boat lift that would allow their client to get from the deck to the cabin below. The challenge of the project was to design and fit a specialist boat lift in such a narrow gap as well as keeping all the remaining features intact so both the client and his family could use the boat without any obstacles. 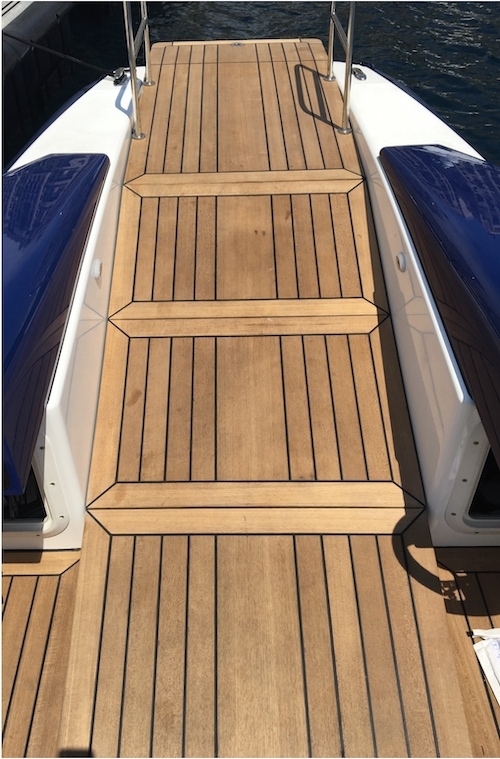 The client had two beautiful wooden doors that he wanted to remain in place and so Berthon Boat Company removed 75mm of the fibreglass deck so we could fit our lifting system. We installed a bespoke scissor jack system with a platform to accommodate the wheelchair - the control system and small hydraulic pump were placed inside a cupboard that was easily accessible. The platform was fitted with the same carpet as the lower deck's flooring so that when the lift was not in use you wouldn't know it was there! A small set of temporary steps were then put into place so the rest of the family could easily access the lower deck. We were lucky to be asked to provide the disabled access solution for the Queen’s royal barge – Gloriana – this was in preparation for the Queen’s Diamond Jubilee celebrations. The architect needed a simple solution so that the boat’s users could get from the upper outdoor deck to the lower covered part of the barge. They wanted a lift that would cause as little disruption to the boat as possible and would be quick and simple to operate. The main challenge was that they came to us 4 weeks before the Gloriana was due to motor up the Thames as part of the celebration. The majority of our projects are completed in 10-12 weeks so it was a race against time to get the lift designed, built and then installed. We designed and created a scissor lift that would fit under the original cabin doors and would have a very small pit below the lift of only 120mm. The lift’s platform measured 800mm x 1200m so could easily fit a wheelchair as well as another person. When not in use the temporary steps were placed on top of the lift so that the boat could be used as it was before the installation of the lift. We managed to use the boat’s own power supply of 24V DC to operate the lift. In order to disguise the lift and make it match the aesthetics of the Gloriana, we finished the platform with the same Elm, from the Prince of Wales Estate in Cornwall, that was used on the rest of the interior of the boat. On the day of the Queen’s Diamond Jubilee the Gloriana sailed down the Thames with members of the Help For Heroes Charity, unfortunately it was a wet day but luckily our lift was installed so everyone could get under cover quickly and safely. To see more of our platform lifts on boats or in historic buildings have a look at our Speedboat, National Army Museum, York Theatre Royal and Baltic Centre projects.